It’s a Saturday at the tail end of summer, the sun is out, the grass is green, and the only item on the day’s agenda is looking at the finest European cars the Toronto area has to offer. The European car community in Ontario, or all of Canada really, is one we’ve yet to really dive into here on Speedhunters. The snub wasn’t intentional of course, it’s just with so much going on around the globe it’s hard for us to make it to everything. 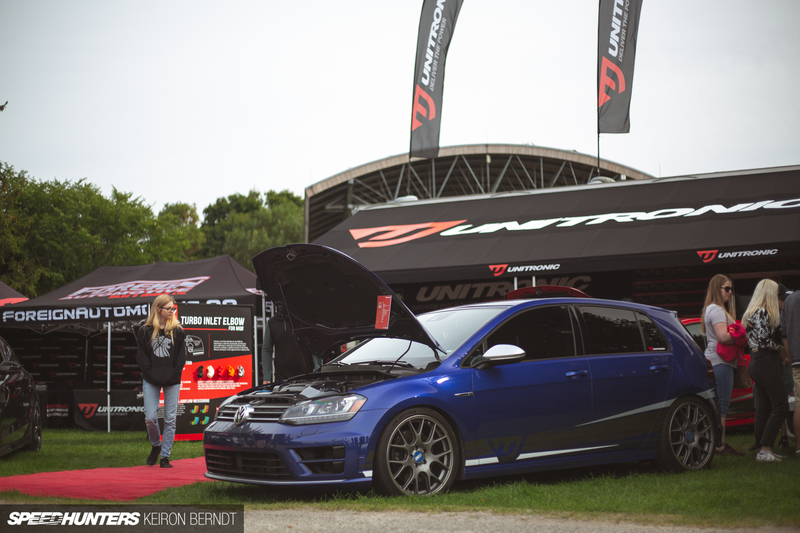 Make no mistake though, Canada is lockstep with the global Euro car tuning scene. 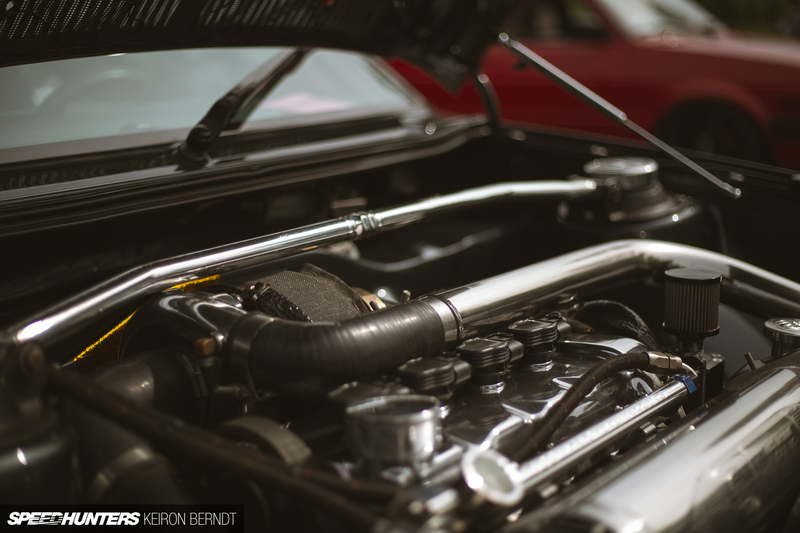 Playing host to the cars in this post is Berlin Klassik. Berlin Klassik is a two day event held in Guelph, Ontario, and is one of Canada’s premier Euro-centric automotive events. It caters to everything European, but everything European is hard to fit in one post, so Keiron and I are going to break the coverage up into manageable installments. 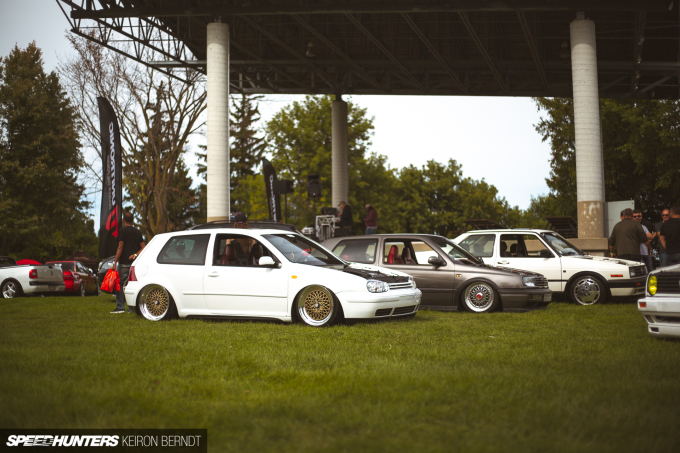 The first post, if you haven’t guessed, centers around a car that has been popular in every iteration, the Volkswagen Golf. If Volkswagen owners are known for anything, it’s their love for a complete lack of ground clearance. 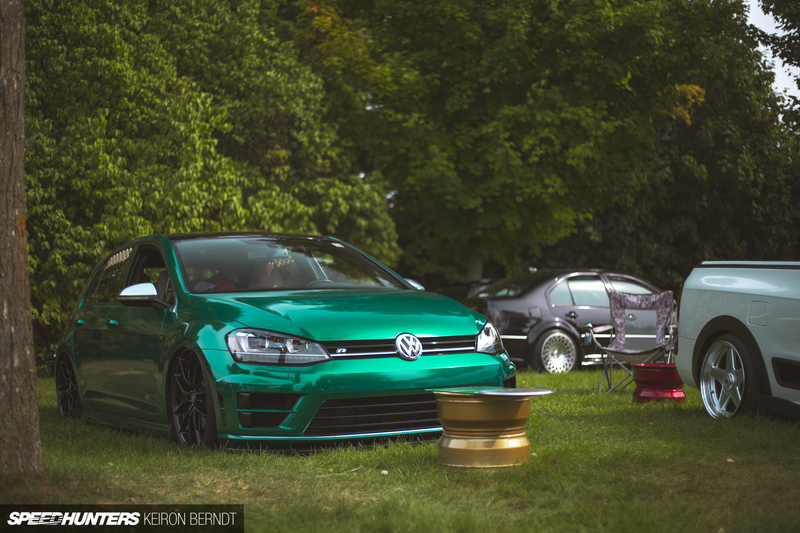 Bagged or static, they’re going to push the limits. No matter how many times I hear that air ride and BBS wheels are played out, I can’t help but enjoy cars like the two above. They’re clean, they’re simple, and they work. Zipping forward from 1992 to 2016, Romel Reyes’ Mk7 Golf R was hard to miss with its Emerald Green wrap and ample-wide BBS wheel-based sign board. Tucking wheel at all four corners thanks to Air Lift Performance air suspension, the interesting rear window visors encouraged a closer look at the inside of the car, not just the outside. 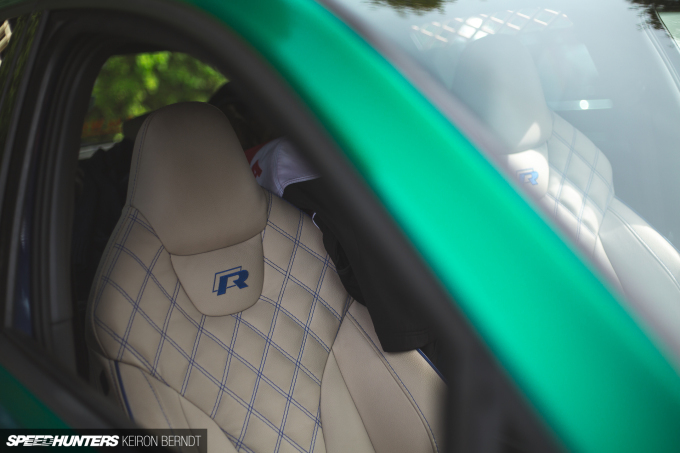 Peeking through the window revealed a diamond-stitched blue and cream interior. The color combination was originally done before the car was wrapped (it’s a factory blue car), but it works surprisingly well with the green. 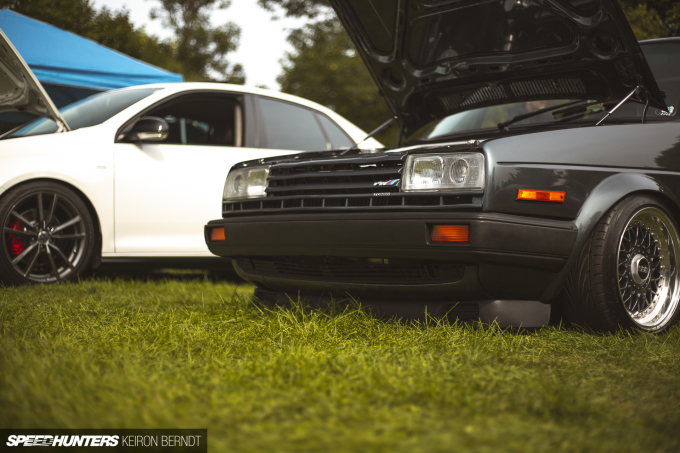 Introduced in 1991, the Volkswagen VR6 motor was a fairly instant success. 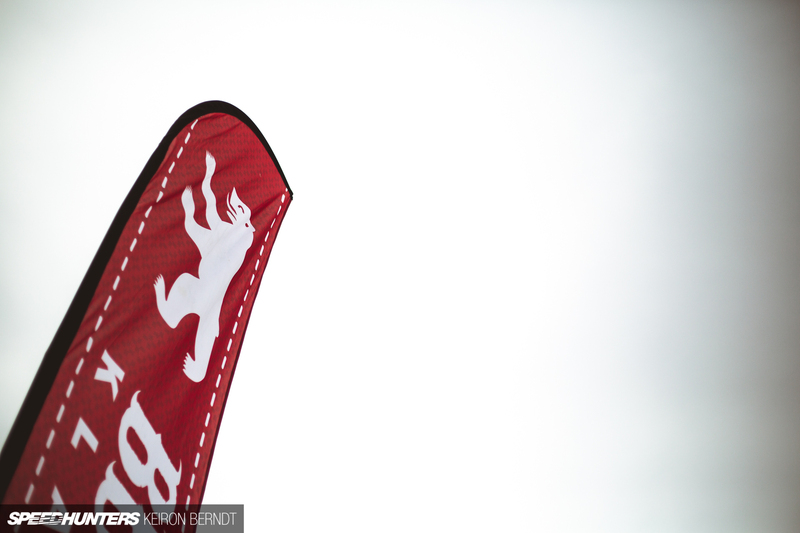 They’ve got a distinctive sound, make a respectable amount of power stock, and hold up to boost quite well. Over the years they’ve come in a plethora of different models and variants, which means they are quite plentiful. 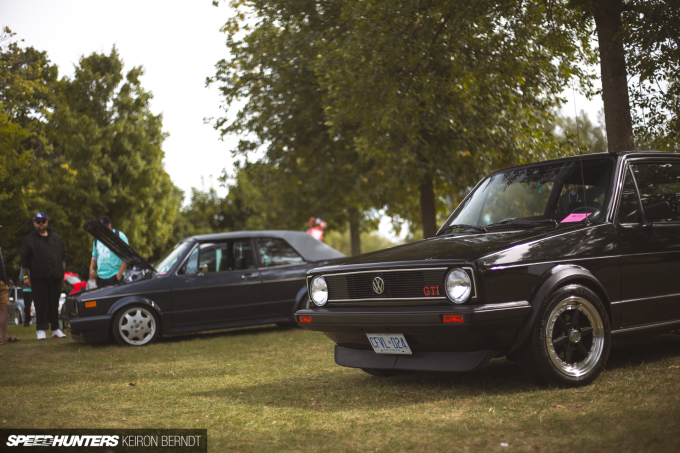 Their durability also makes them a great candidate for modification and an equally good candidate for swaps, both Volkswagen-based and non. 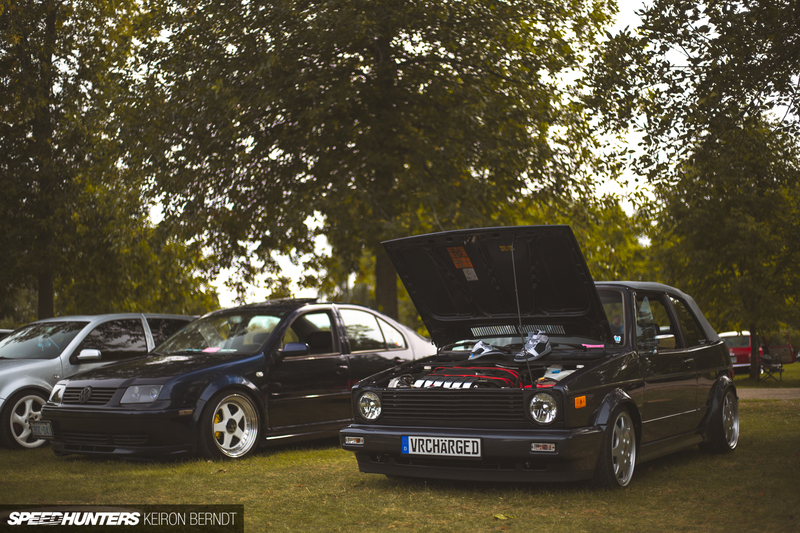 Many of the cars with their hoods popped at Berlin Klassik had a VR6 on show, but one car that managed to stand out among the impressive field was the GAB Eurosport-built Mk2. 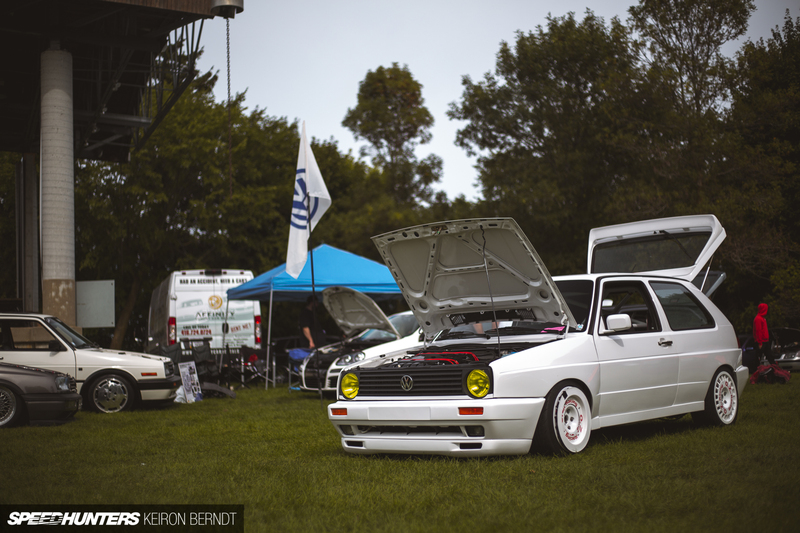 Box flares and turbofans? Be still our nostalgic hearts. 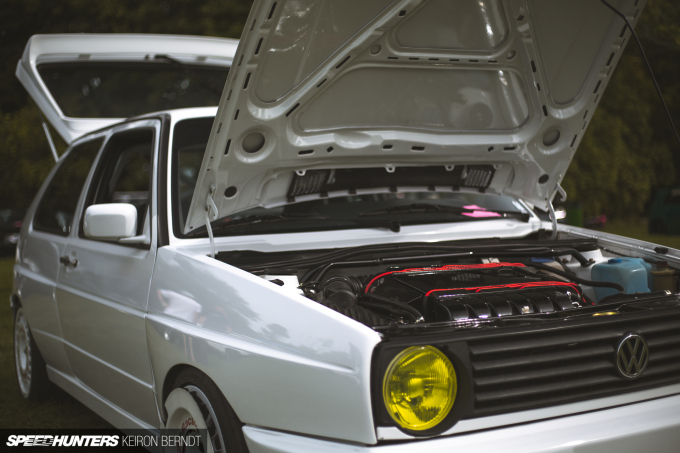 In regards to this car, the VR6 is the icing on the top of a very nice, very white cake. Purists don’t fret, this is a Rallye style build, so a supercharged G60 hasn’t been removed from this car in favor of the contemporary VR. 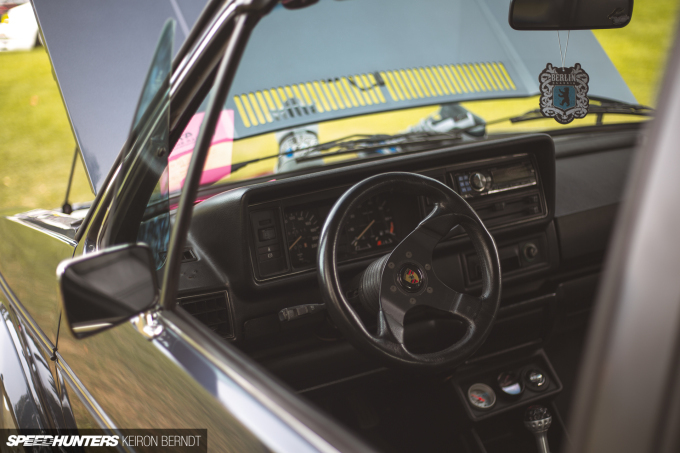 A winter project for the GAB Eurosport crew, the car was clean enough to eat off of inside and out, and carried with it many of the OEM+ touches Volkswagen builders are known for. Hopefully ending with a car of this caliber gives you a taste of what more is to come from Berlin Klassik 2018. Be certain there are plenty more spotlights to come. Next Next post: Can Nissan’s GT-R Nismo Hold Its Own Against The Dodge Demon?